It’s probably not a surprise to you that I like to encourage creativity by giving Christmas gifts that do the same. Christmas vacation is the perfect time for people to crack open their creative selves and start the new year on a fresh, creative note. I also find a deeper meaning in creative Christmas gifts when I remember that the Ultimate Christmas Gift was the most creative gift ever given. God, the Father, gave His Son into human flesh to bring about human forgiveness and salvation. Our human creativity is but a small reflection of the creativity of the Creator God. Why not encourage that wonderful gift in the lives of those we love? Years ago I received a book for Christmas called: Watercolor for the Artistically Undiscovered. It was a book that came with a paint brush and set of watercolor paints. I loved dabbling with watercolors, but had never really had any instruction. The book I received (meant for any age) gave me both simple instructions in watercolor painting and the opportunity to actually do what I was learning. The book was meant to be painted. It was meant to be an opportunity to experiment right then and there with what I was learning. 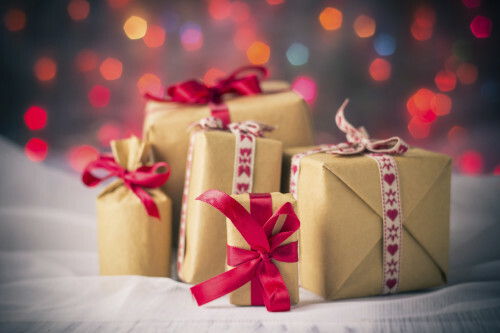 How about reserving one gift that encourages creativity for everyone on your list this year? No matter their station in life, everyone could use a creative boost, and whether they admit it or not, will appreciate a creative Christmas gift. Drawing: For the Artistically Undiscovered (Klutz) I am not a great visual artist. Having said that, I’m better at painting than drawing. This book will do for your drawing what the aforementioned Watercolor for the Artistically Undiscovered will do for your painting. This book is great for either kids or adults. Unleash someone’s artist! The Steal Like an Artist Journal: A Notebook for Creative Kleptomaniacs Steal Like an Artist is one of my very favorite books on the creative pursuit. It’s simple, easy to read, and yet extremely profound. Now Austin Kleon has come out with a journal that will help you interact with your creative self and begin to make great art. 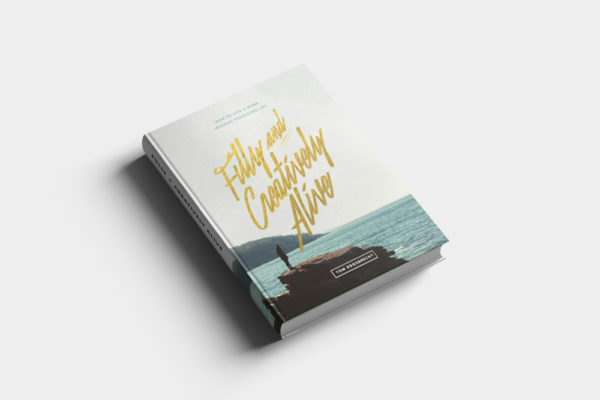 The Creativity Challenge: Design, Experiment, Test, Innovate, Build, Create, Inspire, and Unleash Your Genius This book will help you change the way you usually think to help you gain creative insight and art of any kind. There are over 100 different challenges and exercises to help you with new ideas and new possibilities in your work or play. 344 Questions: The Creative Person’s Do-It-Yourself Guide to Insight, Survival, and Artistic Fulfillment (Voices That Matter) This book, entirely filled with questions, is a great way to spark creativity by thinking through things and jotting thoughts and ideas down right into the book itself. The book even includes the questions many celebrities asked, or wished they had asked themselves, on the way to success. Wreck This Journal (Black) Expanded Ed. The title of this book says it all. I’m the type who cringes when a page in one of my books gets folded or wrinkled. But this book makes me change my fastidiousness and gives me the opportunity to write, poke holes, fold, and generally wreck this book while at the same time moves me massive step forward in my creativity. What gift would you give to spark someone’s creativity? You gave me some good ideas for someone. My secret creative gift for someone I love (shhhh…) is an annual subscription to Noteflight. Check it out.